We have our team of Engineers , Sub-dealers and Branch Offices in most places in the Country. 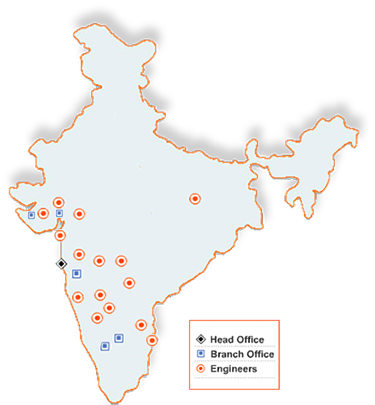 We have 5 Branch Offices and around 56 Engineers working in different areas. Near Peninsula Park, Lower Parel. Sub-Dealers and associates all over. © Copyrights 2017 Hemant Tools, All Rights Reserved.